Rugs are always precious to their owners, whether they are costly gifts, rare family heirlooms or simply pieces of great sentimental value to their owners. But how do you prevent a rug from becoming dirty, stained or just faded and neglected-looking? To a certain extent, grime, stains and faded colors are inevitable. But there is a solution – using rug stain protection, applied by professionals. This way, you can prevent a certain amount of damage and, as everyone knows, prevention is always better than cure. Most people believe that the best way to clean a dirty rug, or to remove an unsightly spill or stain, is to soak it in water. In fact, the opposite is true. When a rug is subjected to large amounts of water, the fibers of the material quickly absorb it quickly. But because you don’t own the heavy-duty equipment that a professional does, you won’t be able to remove the excess moisture. 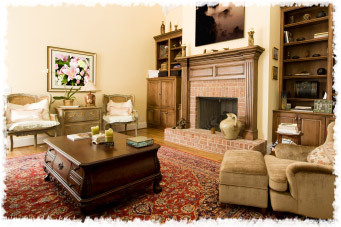 As a result, your rug may quickly become a breeding ground for bacteria, mold and other unpleasant allergens. Here at Rug Cleaning Manhattan, we offer high-quality rug stain protection, using only environmentally-friendly, 100% organic products. Our solutions keep all kinds of delicate fabrics safe, stop colors from running and protect against both oil and water-cased stains. Furthermore, unlike other harsher products, they don’t leave sticky residues behind. The Green Depot anti-stain solutions we use aren’t only non-toxic, but are far gentler on your rug than traditional chemicals, without compromising on rug protection. So when you ‘go green’ not only are you doing your part in aiding the planet, but you’re also protecting the health of you, your children and your pets. Using stain protection also makes good financial sense because, once it has been applied, there will be less grime and dirt stuck in the fibers. This means that not only will your rug look good but you’ll need fewer subsequent cleanings (and, when they are carried out, the process will be much easier). Once our stain protection has been applied, it will guard your rug from all kinds of stains and spills, including coffee, ink, red wine, grease. Your special piece will stay beautiful and stylish and you won’t have to worry about an unfortunate spill or stain ruining your day. So let us take care of the hard work, and give you complete peace of mind. Call us now, free, on (212) 677-7177 to find out more about how we can help you.